Attractive hand crafted cheese board in olive wood, each with its own unique styling. 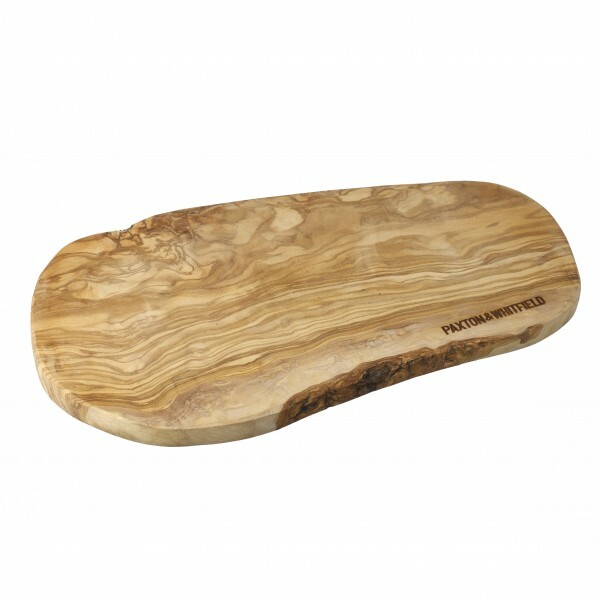 These attractive hand crafted olive wood cheese boards carry the Paxton & Whitfield brand and each has its own unique styling. They are produced from olive trees that no longer produce fruit and trees are continually being planted to replace those used in the production of these boards. Treat regularly with olive oil to maintain optimum condition. Shapes do vary and dimensions are approximately 40cm x 17.5cm. Not dishwasher safe. - Treat regularly with olive oil to maintain optimum condition- NOT dishwaser safe!!! !